Timed-exclusive game releases are becoming more common in the gaming industry, and Microsoft has been a leader in setting that trend. It is surprising that Xbox One timed-exclusives keep appearing even though Microsoft has yet to have a successful timed-exclusive title. Xbox One timed-exclusives have not garnered substantial profit for Microsoft or attracted many new gamers to the console. The failure of Xbox One timed-exclusives can be best explained by examining the releases of Rise of the Tomb Raider and Dead Rising 4. Microsoft showed its arrogance when it refused to move their timed exclusive release date of Tomb Raider even though they knew that Fallout 4 was releasing the same day. This contributed to low sale figures for Rise of the Tomb Raider (RotTR). Fallout 4 was one of the most anticipated gamers of the last few years, and many fans probably overlooked RotTR (which is a great game in its own right) because they were too focused on getting their hands on Fallout 4. Not only that, in the first month of its release RotTR on the PC outsold the Xbox One copies by more than three times. 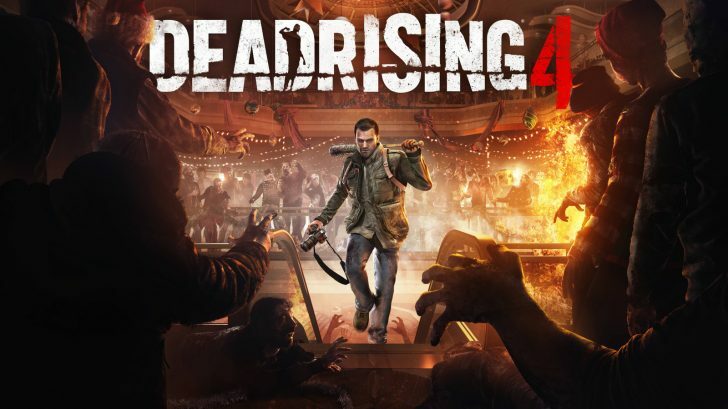 Dead Rising 4 is the most recent example of Xbox One’s failed strategy of using timed-exclusives to increase their profits and attract new gamers. Dead Rising 4 released on the Xbox One and PC on December 6, 2016, with one year of exclusivity. Unfortunately for Microsoft, they have yet to reap any rewards from the release of the timed-exclusive. Dead Rising 4 was not even among the top 10 best selling Xbox One games for December 2016. If this does not stop Microsoft from making costly deals for timed-exclusives, nothing will. The entire point of the timed exclusives is to make money or attract new gamers to the Xbox One. Dead Rising 4 did not even make the top 1o list of best selling games for the month that it is released, that is nothing short of a failure. This was a costly deal for Microsoft, but will unlikely discourage them from continuing to make deals for timed-exclusives. The main result of timed-exclusives is the alienation of a huge portion of gamers, both Xbox and PS4 are guilty of this. The one-year exclusivity time frame is ridiculous and hurts all parties involved. Microsoft is not getting a return on their investment, are not attracting any new gamers, and are frustrating PS4 gamers who would have potentially bought an Xbox One, but are now dissuaded from doing so. Studios are making less money because PS4 gamers are not purchasing Xbox timed-exclusive games once they are available on the PS4. For example, many PS4 gamers did not purchase RotTR because by the time it was released on the PS4, they had either bought it for the PC or had watched enough gameplay videos of RotTR that they were no longer interested in the game. Xbox One’s timed-exclusives can be connected to the lack of Xbox exclusive games. Microsoft is opting for just making a costly deal with third party developers, instead of helping develop original Xbox One exclusive titles. It would be more profitable for Microsoft to release original exclusive games, because then gamers really would have a reason to purchase the Xbox One. As previously mentioned, timed-exclusive games frustrate gamers and do not result in them purchasing an Xbox One. It is disheartening that players are missing out on video games and content solely due to the fact that they lack their competitors console; often times because they can not afford to purchase two consoles. The business politics behind timed exclusives need to stop, it is a high risk and no reward strategy. Where are the facts? This is a lot of opinion without any links to sources, data, etc that can validate your opinion. Ya outside of Quantum Break, Inside, Crackdown 3, Cuphead I had no real want to buy a XB1. QB was Okish, Inside came to PS4, and the missing games of the last two leave me very uninspired to pickup XB1 over playing on my friends XB1 once in a while. And now with the purchase of PSVR I’m just to many games deep in the hole to look at Xb1 or Switch.